There were certain rules to follow. One was to use straight lines and the arcs of a circle within the range of 25 squares, running 5 vertically and 5 horizontally. The second rule was to divide them into 3 categories, monochrome, color and lines. And third, to remind one of paintings. As a result, 15 shapes were formed and put together in 3 distinct zines. 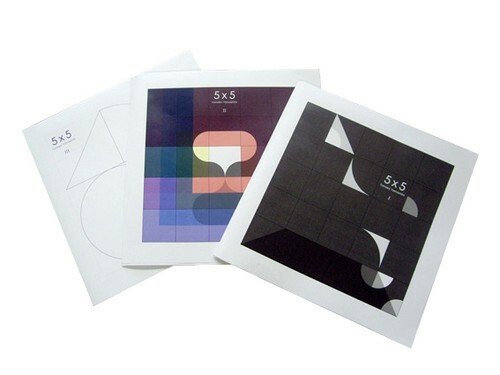 When the zine, folded in four, is unfolded, a poster revealing an even larger square will appear.